Effective with this issue, we are combining the former Air Traffic Control Reform News and Airport Policy News into a single monthly e-newsletter— Aviation Policy News. Reason’s IT team de-duped the mailing lists, but if you receive two copies of this issue or have any problems, please let us know. Now that the 35-day shutdown of much of the federal government is over (at least for three weeks), it’s time to take stock of the damage to aviation—and to get serious about not letting this happen ever again. Air traffic controllers did yeoman work, soldiering on without paychecks to keep planes flying with surprisingly little disruption. Only towards the end of a full month did the impact of fatigue and overtime lead to increased sick leave and some retirements, with particular impacts on Washington Center and New York TRACON. That caused enough flight disruptions that more members of Congress finally got serious about calling for a halt to the shutdown. But the consequences extended well beyond flight delays and cancellations. With controller levels well below targets at certain key facilities, the pipeline for training new controllers was once again interrupted, with the training academy in Oklahoma City closed for the duration of the shutdown. Progress on much-needed NextGen programs, such as expanding DataComm to en-route airspace, were put on hold. Meetings for new approach procedures at Washington Dulles were cancelled, and implementation will likely slip to the end of next year. With the high level of visibility of the 2017-2018 efforts to remove FAA’s Air Traffic Organization from the federal budget, making it self-supporting from air traffic control (ATC) user fees, it was hardly surprising to see an array of articles and op-eds suggesting that Congress’s rejection of that idea last year was mistaken. Rob Puentes made this point eloquently in Eno Transportation Weekly, as did the editorial board of Investor’s Business Daily. And Air Traffic Management picked up a piece by Christian Britschgi (“Looking North”) contrasting the ATO with Nav Canada. A key factor leading controllers’ union NATCA to endorse removing the ATO from the federal budget was the 2013 federal budget sequester, during which controllers had to work one day each pay period without compensation, and contract towers were threatened with shutdown. NATCA leadership took seriously the fact that about 60 air navigation service providers around the world have been removed from their national government budgets and made self-supporting from ATC fees, charged in accordance with widely recognized ICAO standards. The larger ANSPs can use this revenue stream to self-finance large-scale capital improvements (such as replacing and consolidating aging facilities) by issuing investment-grade revenue bonds. This is the concept that won over airline trade group Airlines for America (A4A), the Business Roundtable, and major airline unions, in addition to NATCA. Unfortunately, there was never a real debate about the merits of the idea. Aviation groups that feared corporatization would make private flying unaffordable never engaged in dialog to ensure that the proposed change would safeguard their interests. In doing this they de-facto declared that the ATC status quo is fine—don’t change it. But we’ve had a painful 35-day demonstration that the status quo is not fine and needs to be changed. In common cause with most government employee unions other than NATCA, opponents demonized the idea by calling it “privatization” (which implies operation by a for-profit company) and pretending that the proposed governing board, representing a cross-section of aviation stakeholders, would be controlled or dominated by the “big airlines.” Despite the lack of dialog, the second version of the air traffic control reform bill, introduced in 2017 and passed by the House Transportation & Infrastructure Committee in 2018, addressed all the concerns raised by opponents. But in response, they repeated their objections to the earlier version, as if the major revamp had not even taken place. As this is being written, however, Politico reports signs that the desire of aviation stakeholders to never again go through the past month’s travails may reopen the debate on ATC reform. It cites analysts at investment firm Cowen & Co. suggesting that this shutdown could be “a turning point for change” on this subject. 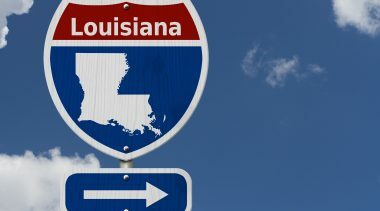 Reuters recently reported that the White House is considering bringing the issue back to the table as part of its expected infrastructure push. I’ve received several calls reporting concerns raised by business jet pilots about the impact of shutdowns on FAA and air traffic control. One thing is certain. If there is to be a new attempt at ATC reform, it needs to bring all aviation stakeholders to the table, and it will need bipartisan support in Congress. Air traffic control is too important to be held hostage to recurring battles over the federal budget. It needs to be removed from that budget and made self-supporting—in a way that does not cause harm to general and business aviation or small airports. Another consequence of the federal shut-down was longer lines and wasted passenger time at screening checkpoints at various airports. Just like controllers, TSA screeners were working without paychecks, and under increasing stress, as colleagues called in sick or quit to find other jobs. Only a handful of media reports mentioned that this problem did not occur at the 21 airports that make use of TSA-certified private screening companies, with the largest example being San Francisco International Airport. How can this be, since those companies are paid by the federal government, not by the airports where they provide screening services? The answer is competition. Screening companies have to compete for screening contracts with TSA, so they place a premium on providing good service. That includes maintaining normal operations by paying their screeners as usual, even when their expected revenues from TSA are on hold. Needless to say, that improves screener morale, which means no increase in absenteeism. And it means passengers experience only normal line lengths and waiting time. Morgan also notes the inherent conflict of interest that Congress built into the agency when it created TSA in 2001: self-regulation of screening. TSA is the aviation security policy-maker and regulator, but it is also the operator of the largest single component of aviation security, passenger and baggage screening. An arm’s-length relationship between a regulator and the regulated party is the essence of good government. Self-regulation, by contrast, is widely recognized as bad policy. Any organization that performs poorly seeks to minimize public discussions of those shortcomings, and TSA has been no exception. Repeated audits by the DHS Office of Inspector General and the Government Accountability Office have faulted TSA for poor performance of airport screening over its entire existence, with little tangible improvement. That is a predictable consequence of self-regulation. A concise summary of the evidence for accountable arm’s-length screening—as is the practice in Canada, much of Europe, and the handful of U.S. airports in the Screening Partnership Program (SPP)—was released by Reason Foundation in 2013. NASA’s Unmanned Aircraft System Traffic Management (UTM) activity seems to be proceeding on the assumption that private industry will build and operate the UTMs on a pay-for-service model. Lots of money and effort are being spent on this premise. But FAA, the regulator of the navigable airspace, has never formally decided this. Meanwhile, Congress is getting worried about this lack of clarity. In the 2018 reauthorization legislation, FAA is directed to “outline the roles and responsibilities of industry and government in establishing UTM services….” We agree. There are plenty of good options for bringing private sector resources to UTM. These range from FAA itself operating UTMs with contract support, to contracting out operation of UTMs under FAA rules and procedures, to full franchise privatization of UTMs. Along the entire spectrum of possibilities, however, the following items at minimum will have to be addressed. Safety. If FAA itself operates UTMs as an extension of its air traffic control functions, it would assure safety under its own specified internal standards and processes. It could contract out operation of some or all aspects of UTMs, assuring safety through those same FAA specifications and procedures, as it does with federal contract towers today. Whatever FAA standards and safety assurance processes are applied, however, will have to be updated for technologies that, for the first time, don’t rely on humans as the fail-safe. There may be a middle ground wherein FAA would approve industry-consensus safety standards for privately equipped and operated UTMs. But this approach already has been unsuccessfully attempted with the RTCA Drone Advisory Committee. And FAA would still have to staff up a shadow technical group to approve and oversee the consensus standards, including minimum levels of safety. Consistency and Interoperability. Most UAS operators will contemplate operations in multiple UTMs, with extension into the non-UTM National Airspace System (NAS). It will be important for operators to have a uniform set of equipment to fly anywhere. Should FAA equip and run the UTMs, it can itself assure this consistency. But if diverse private entities equip and operate the UTMs, there will have to be some mechanism to assure uniformity or interoperability among interfaces. The mechanism could be FAA- or industry-consensus technical specifications or functional requirements sanctioned by FAA. Or there might be established an independent professional architectural board that would, under confidentiality, review and approve individual UTM implementation plans for consistency and interoperability with the rest of the NAS. This construct would be analogous to community architectural boards that review and approve building plans for consistency with local historical preservation or aesthetics objectives. Access. Assuring fair access to public assets such as the national airspace is inherently a government function. Whether FAA itself or private companies operate the UTMs, there will have to be an air traffic prioritization regime approved by regulators as consistent with the public interest, and not left solely to private-sector decision making. The regime would have to protect military, EMS, and public aircraft operations, and provide access for occasional operators and new entrants, while at the same time honoring the investments of legacy and regular commercial operators, especially those providing common carriage. And whereas UTMs will be highly or entirely automated, the prioritization mechanism will have to perform automatically and integrally with the UTM traffic management automation. Finance. Having FAA itself operate the UTMs could have some cost advantages, such as economies of scale and leveraging its own or other agency knowledge and capabilities. On the other hand, private-sector UTM operators could move more quickly, could more easily employ cost-saving innovations such as high levels of automation, and could more flexibly manage labor and administrative resources. To assure rigorous comparative financial analysis, FAA’s Air Traffic Organization (ATO) might be a regular bidder in all FAA UTM franchising competitions, and be prepared to operate UTMs where the private sector is not offering the best value. On the pricing side, it is being assumed that private UTMs will be financed through user fees. UTMs will be local monopolies whose prices are not disciplined by competition. Therefore, private UTMs will need some sort of rate oversight for reasonableness and fairness among operators. This oversight need not be governmental, but could be performed by aircraft operator boards. In conclusion, it is past time to engage everyone—FAA, private sector companies, aircraft operators, and the general public—in a formal discussion of whether, and how, to include the private sector in building and operating UTMs. Without clarity on this issue and an official pathway to implementation, UTM will dissolve into chaos. We suggest that an appropriate forum for this discussion would be an FAA Contracting Opportunity market survey proceeding, open to the public for comment. The products would be comprehensive policies and guidelines for potential UTM franchising and oversight, and a model UTM franchising agreement. Self-supporting ANSPs in Europe, Australia, and New Zealand are pioneering a variety of uses for remote towers (increasingly being called digital towers). From news reports over the last few months, we can discern at least five different categories of remote/digital tower usage. In all the examples below, the projects are under way, generally with the ANSP working with a digital tower company. This concept originated in Scandinavia, with remote tower centers (RTCs) now operational in both Norway and Sweden. Both countries have numerous small airports whose towers are inefficient due to the relatively low air traffic levels. Serving several such airports from a single center saves money and increases controller productivity. Germany is the latest country to implement this concept, but for larger airports than in Scandinavia. Its first RTC went live on December 4, 2018, controlling traffic at Saarbrücken, 280 miles from the RTC in Leipzig, using technology from Frequentis. Over the next year or so, the RTC will also take over operations at Erfurt and Dresden airports. 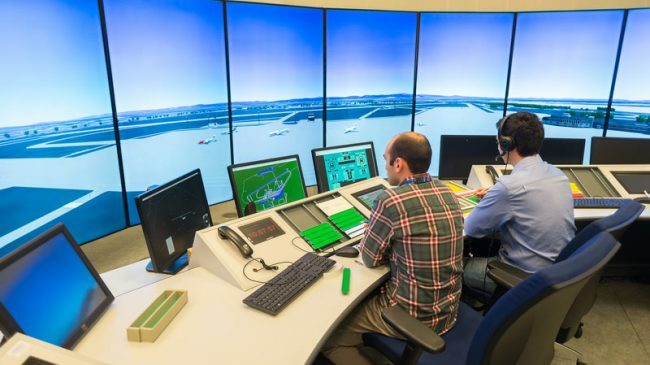 The safety and effectiveness of an RTC controlling multiple airports was demonstrated in a Single European Sky ATM Research (SESAR) trial carried out in 2016 with the Irish Aviation Authority. The results are presented in the research paper “Multiple Remote Tower for Single European Sky: the Evolution from Initial Operational Concept to Regulatory-Approved Implementation,” published in Transportation Research Part A: Policy and Practice, October 2018. NATS, the UK ANSP, is working with technology provider Searidge to test a remote tower capability to be used during what are called “tower-in-cloud” days, caused by low clouds and fog, obscuring views of the ground from Heathrow’s tower. Landing rates can be reduced up to 20 percent during such period, which is devastating for an airport like LHR that operates at 99 percent of capacity. The system will use cameras on taxiways and image processing to give controllers a real-time view of runway occupation, which is expected to enable normal landing rates on those days. The monitoring point for the trials will be a digital ATC center lab on the ground floor of the existing control tower. From what I know of their fog problems, Seattle and San Francisco could use a capability such as this. Jersey Airport in the Channel Islands is testing a remote tower system provided by Frequentis. The existing tower will continue to operate, with the remote/digital system available as a backup. In Australia, Airservices is developing a temporary remote tower for Sydney, which will serve as the airport’s tower while the existing tower is converted to the ANSP’s new INTAS digital control suite. This avoids the need to build a new conventional tower. As control towers age, ANSPs and airport owners (in countries like the UK where airports own the towers) are planning to implement remote/digital towers rather than embarking on the more costly and time-consuming process of building a new conventional tower. A small-scale example is the UK’s Cranfield Airport, about 50 miles north of London. Saab’s new joint venture company with Swedish ANSP LVF is developing the remote tower, and will likely add Wide Area Multilateration to improve surveillance capability. Saab’s partner on the project is nearby Cranfield University, which has an ongoing global airport research program. Another UK example is the remote tower capability that will replace the conventional tower at London City Airport by late this year or early 2020. Both Australia and New Zealand have many aging towers, and rather than replace them with conventional ones, their ANSPs (Airservices Australia and Airways New Zealand) are seriously considering remote towers instead. One of the first such projects is being done by the Saab/LVF joint venture (SDATS) that will install remote tower capability at the new Scandinavian Mountains Airport in Sweden. Another indication of the growth of remote/digital towers is a new strategic partnership between SDATS and private ATC training academy Entry Point North. The venture will develop and implement training courses for digital towers. Alas, nothing remotely like this level of activity exists in the United States. Strapped by tight budgets, the FAA Air Traffic Organization has yet to initiate a single remote tower project. The two pilot projects still under development, in Leesburg, VA and Loveland, CO, have been funded via a combination of state funds and private-sector investment. The ATO has provided controller support, but that has been the extent of its involvement. Last year’s FAA reauthorization provided a modest sum for the agency to get more involved with remote towers, but there is nothing resembling the level of European or Australia/New Zealand activity. By my calculation, as of early 2018, Vinci Airports had emerged as the fastest-growing global airport company. It acquired all 10 airports of Portugal’s state-owned company ANA in 2013 and went on to win airport concessions in France, Japan and Chile. By last year, it was responsible for 35 airports. But this January saw major new acquisitions. The new year dawned with Vinci’s acquisition of a 50.01 percent stake in London Gatwick Airport from Global Infrastructure Partners, which retained the remaining ownership. Paying $3.6 billion for the stake, the deal put the enterprise value of the LGW at $10.5 billion, a multiple of 20 times earnings before interest, taxation, depreciation and amortization (EBITDA). That is at the high end of a database of airport transactions over the past decade or so, which ranged from 15X to 20X EBITDA. A day or two later Vinci announced financial close on its 25-year concession to expand and modernize the Nikola Tesla Airport in Belgrade, Serbia. Under the terms of the deal, Vinci Airports is paying a $571 million concession fee up-front and committing to invest $435 million to expand the airport’s capacity from the current 5.3 million annual passengers to 14 million by 2043, the last year of the concession. And a week after that, Vinci agreed to invest $1.32 billion in Lisbon, expanding Lisbon’s existing Humberto Delgado Airport and converting an existing air base 15 miles away, across the Tagus River, into a second Lisbon airport. The dual hub system is being planned to handle projected air travel growth at Lisbon through 2062, the last year of Vinci’s concession. Airport observers are keeping an eye on both France and Japan for potential new Vinci Airports acquisitions. More airports are in the privatization pipeline in both countries. Everyone in aviation has by now read various tributes to airline innovator Herb Kelleher, the man who really democratized U.S. air travel by building Southwest into a major low-cost carrier, making great use of secondary airports, flying point-to-point rather than creating hubs, keeping operations single by using only 737s, and building a unique corporate culture that made the airline fun to fly (despite the absence of meals, reserved seats, etc.). My visit with Herb came about as a result of my work on air traffic control reform. 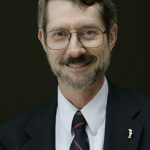 After the Clinton Administration’s U.S. Air Traffic Services Corporation plan failed to gain traction in Congress, I saw the imminent launch of Nav Canada in 1996 as the opportunity to present a stronger model: a nonprofit, user-governed corporation rather than the USATS government corporation. With my friend and colleague Viggo Butler, former CEO of Lockheed Air Terminal, we drew on detailed information about Nav Canada’s governance model and pricing policy to propose a US version. The May 1996 policy study included estimates of the charges to airlines, business jets, and general aviation planes, as well as an estimate of the revenue needed to make the corporation self-supporting. In various presentations of the idea in Washington, I got to know Southwest government affairs director Ron Ricks. He explained that Southwest had some concerns about the user fees, stemming from a previous battle between Southwest and the legacy airlines over a proposal from the latter for a fee structure that would have put Southwest at a disadvantage. He told me that Herb knew Viggo Butler, so I asked Rick to see if he could set up a meeting for Viggo and me to discuss this with Herb. Rick arranged this, and Viggo and I flew to Dallas Love Field for our planned hour with Herb. The meeting ended up going two hours, and we left with a detailed homework assignment: do further research on ANSP corporate structure and governance models (not just Nav Canada’s), do a much deeper dive into fees and charges—by airline—to come up with something that would not significantly change the relative share paid by each carrier, create a better deal for general aviation operators, and address ATC employee issues. That was a tall order, and it took us two years, but the resulting policy 2001 study, “How to Commercialize Air Traffic Control,” led to a presentation to the board of the Air Transport Association that June, with Herb and the other CEOs very engaged with the subject. It made a positive enough impression that I was convinced that ATA would start laying the groundwork for legislation that fall. Of course, the Sept 11, 2001, terrorist attack changed everything in aviation, leaving ATC reform on the back burner for most of that decade. Alas, Herb is gone, and U.S. air traffic control remains unreformed. City officials in St. Louis are moving deeper into the process that could lead to seeking bids for a long-term public-private partnership (P3) lease of Lambert International Airport. The St. Louis Post Dispatch reported that the financial firm advising the city on the process is seeing strong interest from airport operators, infrastructure investment funds, and pension funds. City Budget Director Paul Payne said in late November that the city may issue a request for qualifications (RFQ) early in 2019. Another consultant noted that the airport owns a lot of excess property with significant real estate development potential. On January 9th, a Falcon 9 rocket launched the final 10 satellites for Iridium’s next-generation constellation. There are 75 satellites in orbit, with another 6 in reserve as spares on the ground. Among other services, this network will offer global ADS-B surveillance and related services to airlines and air navigation service providers (ANSPs). This will permit radar-like surveillance (and eventually comparable separation) in oceanic and polar airspace, where no radar exists. At the end of December, the state Senate committee studying the problems that have plagued Atlanta’s Hartsfield-Jackson International Airport said it will recommend to the Legislature the creation of a state airport authority to replace the current operation by the city government of Atlanta, which has been plagued by scandal and corruption. Committee chair Sen. Burt Jones also suggested that a state-operated airport authority would be more open to the possibility of a secondary airport to serve the huge Atlanta metro area. Both proposals are anathema to Delta Airlines, the majority operator at the airport. Infrastructure Investor reported in December that the Indian government has decided to privatize six airports: Ahmedabad, Guwahati, Jaipur, Lucknow, Mangaluru, and Trivandrum. All six airports have been growing fast, with India projected to become the world’s third largest air passenger market by 2026, according to trade association IATA. All six airports need investment to expand and modernize their facilities. India has previously privatized five airports, including Delhi and Mumbai. Energy Minister Tarcisio Gomes de Freitas announced early this month that all ports and airports owned by the government will be privatized this year. The first federal auctions of 12 airports and four seaports are expected by the end of the first quarter of this year, with the expectation of raising $1.7 billion. Despite investor concerns and the precedent being set, Mexico’s new government on January 3rd officially halted construction of the planned new airport for Mexico City. Revenue bonds valued at $6 billion had been issued, and construction was well along when the government changed hands last fall. An amended bond buyback offer was announced on Dec. 14th, under which bondholders will be offered $1,000 for each $1,000 of principal, but with no guarantee of full repayment over time. A bondholder group representing about half of the $6 billion is opposed to the settlement offer, which includes no collateral to replace the planned passenger-fee revenues from the new airport. 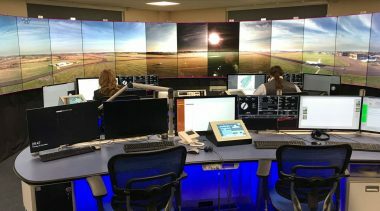 NATS, the UK’s part-private ANSP continues rolling out electronic flight progress strips at the control towers it operates. In December the process was completed at Bristol Airport, which follows successful implementation at Belfast International, Belfast City, and Farnborough Airports. Plans include replacing paper flight strips soon at Cardiff, London City, and Southampton Airports. All the major airports serving the London metro area were previously converted to electronic flight strips. 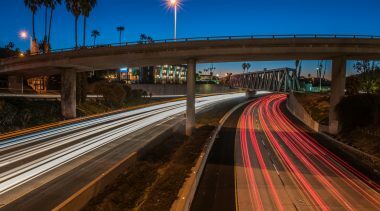 A $2 billion project to develop and operate a consolidated rental car center adjacent to Los Angeles International Airport reached financial close on Dec. 6, 2018. The project is a long-term public-private partnership between Los Angeles World Airports and LA Gateway Partners. The latter is a joint venture of Fengate Asset Management and PCL Investments USA. The design-build-finance-operate-maintain P3 is based on LAWA’s commitment to make annual availability payments over the 28-year life of the agreement. Johnson Controls will operate the new center, which will replace 20 individual rental car locations. It will be connected to the LAX central terminal area by an automated people mover, being developed under a separate P3 deal. According to a new report from the Government Accountability Office, the TSA has made some progress on covert testing of its checkpoint screeners, but still needs to do more risk-based tests and address vulnerabilities. Thus far, the report itself is “restricted,” and a redacted version has not been released. If and when such a version is made public, it will be discussed in this newsletter. A new low-cost carrier named Moxy has placed a large order for the new Airbus A220 (formerly the Bombardier CS-300). The order for 60 of the planes, valued at $5.4 billion at list prices, was confirmed by founder David Neeleman on January 3rd. Neeleman is the founder of JetBlue Airways and Azul Brazilian Airlines. In making the announcement, he cited the A220’s “ability to operate profitably in thin, underserved markets across a broad spectrum of ranges.” This bodes well for increased U.S. airline competition. The Russian air transport agency has agreed to a new 49-year concession for Moscow’s largest airport. For the first time, it permits an airport company to invest in infrastructure at a state-owned airport. Sheremetyevo Holdings plans to invest $890 million in improvements to runways, taxiways, and aprons, based on provisions in the agreement. The government plans to adopt similar concession agreements for the other two Moscow airports, Domodedovo and Vnukovo. In December Chile’s public works ministry accepted four proposals for a concession of the Chacalluta Airport, which is about 6 miles from the Peruvian border The 15-year concession will require the winner to more than double the airport’s surface area and expand the terminal to handle over 1.1 million annual passengers. Financial proposals were submitted on January 18th, and the preferred bidder will be selected within the first half of this year. As one of the few U.S. airports with a defined limit on runway slots, Long Beach Airport has had a fairly loose policy on airline use of their slots. But in November the city adopted a new requirement that every airline must use its slots at least 57 percent of the time over any 180-day period and 85 percent over the course of the year. Most of the airlines serving Long Beach operate at close to 100 percent utilization. But three exceptions are FedEx and UPS (at 71 percent) and JetBlue (at 66.1 percent). The latter protested bitterly but to no avail. This policy is pro-competition, preventing airlines from hogging the scarce resource of slots, so Long Beach is to be commended for making this change. FAA certification staffers who were furloughed during the federal government shut-down could not complete the work needed to approve the start of airline service using the new passenger terminal at Paine Field north of Seattle. Alaska Airlines—one of the three that had planned to begin service next month at the airport—announced a revised starting date of March 4th and provided those with Paine Field reservations with confirmed flights out of SEA-TAC. GPS World reported that President Trump signed the National Timing Resilience and Security Act of 2018 on December 5th. 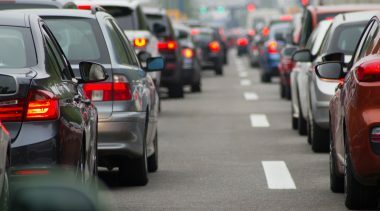 The new law requires the Secretary of Transportation to establish a terrestrial backup timing system for GPS within two years. It was sponsored by a broad, bipartisan coalition in both houses of Congress, with strong support from the U.S. Alliance for Telecommunications Industry Solutions, a standards body for the wireless industry. Despite the chaos caused by the massive power failure at Hartsfield-Jackson International Airport in December 2017, airport officials told the Atlanta Journal-Constitution last month that it will take up to three years to finish the design and installation of a $130 million backup power system. Calgary International Airport (YYC) will not renew its contract with the Calgary Fire Department when it expires this year. As of March 1st, the new provider will be Canadian Airport Fire Service, a company that has been providing such services for 25 years. Calgary Airport Authority also noted that “YYC has been the only major airport in Canada that contracts its firefighting services to the city.” All the other major airports either operate airport fire/rescue services in-house or contract with a private company. In 2010 Reason magazine editor Matt Welch interviewed Herb Kelleher for the book he and Nick Gillespie were writing, The Declaration of Independents. Matt’s tribute includes some powerful quotes from that interview. You can find “Herb Kelleher, the Man Who Democratized Air Travel,” on Reason.com. The Airport Cooperative Research Program has announced the release of its Guidebook on Understanding FAA Grant Assurance Obligations, including a matrix outlining major aspects of the program. 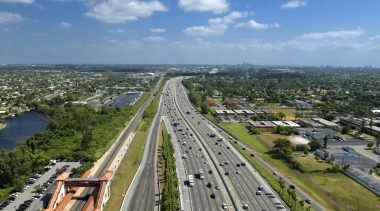 An executive summary of ACRP Research Report 184 can be accessed on the website of the Transportation Research Board (trb.org).